Radiatore stufa LAND ROVER FREELANDER Soft Top (LN) 1.8 i 16V 4x4 88kw 1796cc dal 1998 al 2006. FRANCIA: CORSICA (20000-20999). Radiatore stufa LAND ROVER DISCOVERY I (LJ) 2.5 TDI 4x4 83kw 2496cc dal 1989 al 1998. FRANCIA: CORSICA (20000-20999). Radiatore stufa LAND ROVER FREELANDER 2 (LF) 2.2 TD4 4x4 110kw 2179cc dal 2006 al 2014. FRANCIA: CORSICA (20000-20999). Radiatore stufa LAND ROVER RANGE ROVER I 3.9 Vogue SEI 4x4 134kw 3947cc dal 1988 al 1994. FRANCIA: CORSICA (20000-20999). Radiatore stufa LAND ROVER FREELANDER (LN) 2.0 Td4 4x4 82kw 1951cc dal 2000 al 2006. FRANCIA: CORSICA (20000-20999). Range Rover P38 HEVAC Bulb Kit. Range Rover P38 HEVAC screen dim?. Can't see where the buttons are at night?. We have the solution for you. 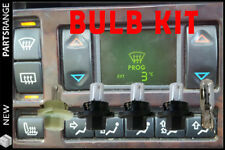 This kit contains all the bulbs you need for the illumination of the unit and auto button as well as the back light for the screen (5 bulbs total). 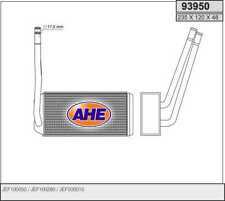 LAND ROVER DISCOVERY 2 TD5 1999-2004 & V8 PLENUM DI ASPIRAZIONE ARIA IN SCHIUMA JZL100120. 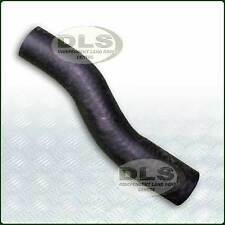 Interchange Part Number Discovery 2 Air intake plenum foam. Interchange Part Number Discovery 2 TD5 & V8 1999-2004. LAND ROVER DEFENDER 90/110/130 BULKHEAD VENT STAINLESS STEEL HINGE PIN KIT YOU ARE BUYING A SET OF FOUR PINS PART NUMBER - DA1179 Manufacturers part numbers are used for identification purposes only. **** PLEASE READ OUR WARRANTY, RETURNS DELIVERY TERMSBEFORE BUYING. 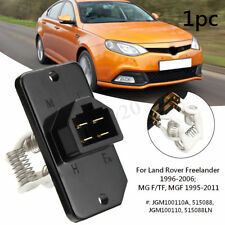 Suitable for Freelander 2 vehicles from VIN FH433422 (2015 onwards). LAND ROVER - Above & Beyond. Radiatore stufa LAND ROVER DEFENDER Station Wagon (LD) 2.5 D 4x4 51kw 2495cc dal 1990 al 2001. FRANCIA: CORSICA (20000-20999). Defender all models with bulkhead vents. A new set of four stainless steel hinge pins to replace the old steel pins that was used as standard on the bulkhead air vents. Wheel Nuts Hi lift jacks & Acc. 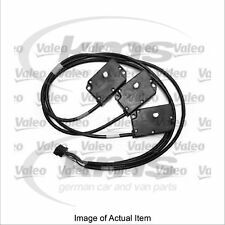 Heater wiring harness UTP 1908 for Land Rover Wolf. Part Manufacturer Number ERR2215R. 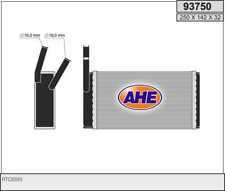 Manufacturer Part Number err2215r. L R Parts Ltd. è un autorizzato Bearmach distributore, siamo specializzati in Ricambi Land Rover nuove, bullone in acciaio inox set per Land Rover e generale manutenzione parti. LAND ROVER JGM500010. 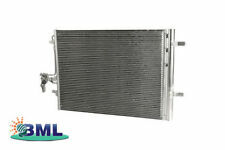 Valeo supplies more radiators to OE Manufacturers than any other supplier. LAND ROVER RANGE ROVER EVOQUE (LV) 2.0 4x4 177 06.2011 -. LAND ROVER RANGE ROVER EVOQUE (LV) 2.2 D 110 06.2011 -. LAND ROVER RANGE ROVER EVOQUE (LV) 2.2 D 4x4 110 06.2011 -. LAND ROVER RANGE ROVER EVOQUE (LV) 2.2 D 4x4 140 06.2011 -. Vedi altri miei annunci per una gamma completa di serie Land Rover, Defender parti ed accessori. 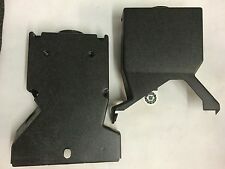 LAND ROVER DEFENDER 90/110/130 HEATER TO BULKHEAD SEAL FITS MODELS RIGHT HAND DRIVE ONLY LAND ROVER PART NUMBER - STC952 Manufacturers part numbers are used for identification purposes only. **** PLEASE READ OUR WARRANTY, RETURNS DELIVERY TERMSBEFORE BUYING. LAND ROVER SERIES 2/2A/3 BULKHEAD VENT STAINLESS STEEL HINGE PIN KIT YOU ARE BUYING A SET OF FOUR PINS PART NUMBER - DA1179 Manufacturers part numbers are used for identification purposes only. **** PLEASE READ OUR WARRANTY, RETURNS DELIVERY TERMSBEFORE BUYING. Part number is 346936. Here we have a genuine Bearmach Land Rover Series 3 heater vent wing trim. BRAND NEW TOP QUALITY CONDENSERS. HIGHLANDS, IRELAND,CHANNEL ISLANDS, JERSEY, ISLE OF WIGHT, BFPO. A/C Condenser. Anti Roll Bar link. 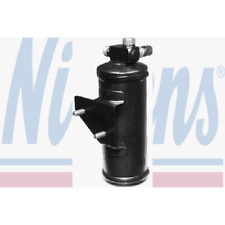 Oil Sump Pan. Lower Ball. DISCOVERY IV (L319). LAND ROVER. RANGE ROVER SPORT. Van Roof Vent For Sale eBay UK Black-White Wind Air Powered Vents Low-Profile Vans Dogs Pets Horseboxes 4x4 Vehicles Rotary Rotating Spinning Spinner Ventilation New 2019 Universal Fit. Low Profile Wind Powered Rooftop Ventilator Is The First Choice As The Easiest Units To Install By Professional Truck & Coach-Builders Around The World. 3 Years Manufacturer Warranty As Standard!!! Now Only 59.5mm High, Nearly Half The Height Of Previous Industry Standard Versions Cover Less Prone To External Damage. Roof Rack Friendly Height For Automotive Applications and Campers, CamperVans, Motorhomes, Caravans, Trailers and Shipping Containers. Stainless Steel Precision Bearings For Smoother Turbo-Three Driven Performance. Easy fitting Installation. Free UK Delivery and Cheap International Shipping. L R Parts Ltd. è un distributore autorizzato Allmakes 4x4, siamo specializzati in Ricambi Land Rover nuove, bullone in acciaio inox set per Land Rover e generale manutenzione parti. Le specifiche del prodotto sono riportati ma è compito dell'utente finale garantire che il prodotto sia idoneo a tale scopo. Land Rover Genuine Rear Centre Console Air Vent Duct Housing. Suitable for Discovery 3 & 4 vehicles also Range Rover Sport from 2008. LAND ROVER - Above & Beyond. 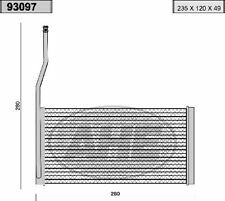 Manufacturer Part Number BR3021G. LR Parts Ltd è un autorizzato Bearmach distributore, ci siamo specializzati nella nuova Land Rover Ricambi, set di bulloni in acciaio inox per Land Rover e generale Manutenzione parti. 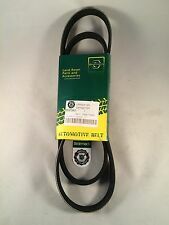 Genuine Land Rover Part. Pollution sensor wiring to fit the following vehicle range. Land Rover Range Rover 4.4L DOHC Ditc V8 Diesel FROM Vin BA000001 to 2012. Genuine Land Rover Part. Land Rover Discovery 3 2005 to 2009. 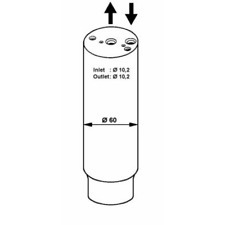 Part Number: ERR2215D. Suitable for all 300Tdi models with Air Con. L R Parts Ltd is an authorized Allmakes 4x4 distributor, we specialize in new Land Rover Spares, stainless steel bolt sets for Land Rovers and general maintenance parts. Ricevitore essiccatore ÜRO si adatta Land Rover Discovery. Land Rover Scoperta 1994 Parte: A / C Ricevitore Drier. 2004 Parte: A / C Ricevitore Drier. 2003 Parte: A / C Ricevitore Drier. 2002 Parte: A / C Ricevitore Drier. LAND ROVER FREELANDER 2.0 TD4 3P RICAMBIO EVAPORATORE RADIATORE CLIMATIZZATORE CLIMA INTERNO A/C DANNEGGIATO (VEDI FOTO) JQQ100140 TBF2D R134A 663046U 324319. Categoria prodotto: Impianto climatizzazione/Evaporatore radiatore clima/interno. LAND ROVER. Heater Motor/Assembly. This part was removed from a Right Hand Drive Vehicle. Compatibility is a guide only. Your item will need to be signed for. Part Number. Other Details. Mk2 TD5 2.5 Diesel 5Spd 5 Door. Lackierte Stoßstangenecke. Ecke für Stoßstange. Schalter für Handbremse. Magnetspule f. Klimakompressor. Lüfter für Klimakondensator. Wo ist die KBA?. Hauptlicht (Lichtschalter). Lackierte Spiegelkappen. LAND ROVER FREELANDER (LN) 2.0 DI 4x4 1994 02/1998>11/2000 98 72 20T2N. LAND ROVER FREELANDER (LN) 2.0 Td4 4x4 1951 11/2000>10/2006 112 82 204D3, M47. LAND ROVER FREELANDER (LN) 2.0 Td4 4x4 1951 03/2001>10/2006 109 80 204D3. Radiatore stufa LAND ROVER DISCOVERY III (LA) 4.4 4x4 220kw 4394cc dal 2004 al 2009. FRANCIA: CORSICA (20000-20999). LAND ROVER FREELANDER (LN) 1.8 16V 4x4 1796 11/2000>10/2006 117 86 18K4F. LAND ROVER FREELANDER (LN) 1.8 i 16V 4x4 1796 02/1998>11/2000 120 88 18K4F. LAND ROVER FREELANDER (LN) 2.5 V6 4x4 2497 11/2000>10/2006 177 130 25K4F.